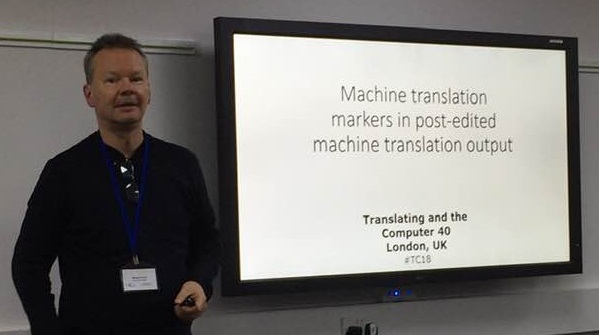 The author has conducted an experiment for two consecutive years with postgraduate university students in which half do an unaided human translation (HT) and the other half post-edit machine translation output (PEMT). Comparison of the texts produced shows – rather unsurprisingly – that post-editors faced with an acceptable solution tend not to edit it, even when often more than 60% of translators tackling the same text prefer an array of other different solutions. As a consequence, certain turns of phrase, expressions and choices of words occur with greater frequency in PEMT than in HT, making it theoretically possible to design tests to tell them apart. To verify this, the author successfully carried out one such test on a small group of professional translators. This implies that PEMT may lack the variety and inventiveness of HT, and consequently may not actually reach the same standard. It is evident that the additional post-editing effort required to eliminate what are effectively MT markers is likely to nullify a great deal, if not all, of the time and cost-saving advantages of PEMT. However, the author argues that failure to eradicate these markers may eventually lead to lexical impoverishment of the target language. Read the full academic paper.